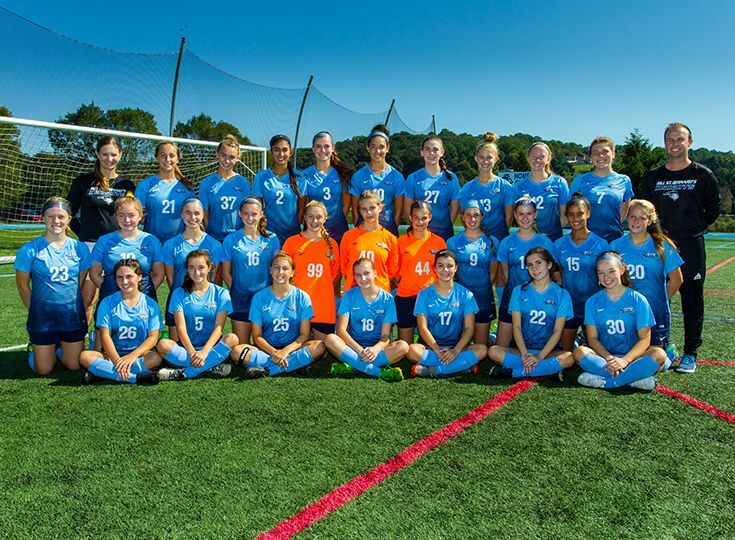 After coming close to claiming championship titles in the past, the girls’ soccer team was able to finally get over the hump this year and win the Mountain Division title for their first championship in 11 years. It also marked the first time Gill has claimed the Mountain Division in program history. The Knights ended their season with an impressive overall record of 14-3-2 and went 12-2 within the division. It was a very close race for the title as Rutgers Prep only finished half a game behind Gill. Williams credits a strong senior class for keeping the team focused throughout the battle in the standings. The dream season came to an end a little earlier than hoped as Gill fell to Morris Catholic by a score of 3-0 in the quarterfinals of the extremely competitive North, Non-Public B sectional tournament. Many players, however, earned all-conference recognition throughout the season and will be back to build off this year’s historic success.